Place mini sweet peppers on a cutting board. Slice off one side of each pepper horizontally to make a pepper boat. Discard the seeds. Line a baking sheet with parchment paper or foil. 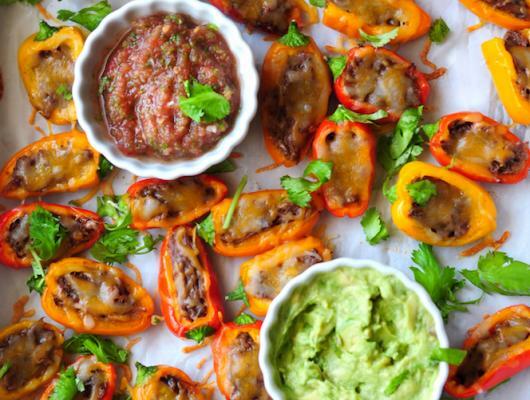 Stuff each pepper with beef barbacoa and place them in the baking sheet in a single layer. Sprinkle with cheese on top. Bake for 10-12 minutes until cheese is melt. 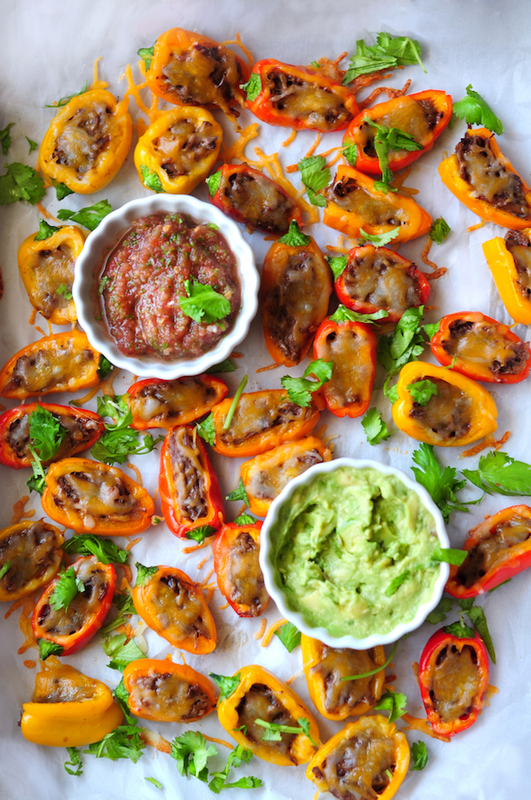 To serve, grab one mini stuffed pepper and dip it into guacamole or salsa, or both (because why not?) Enjoy!